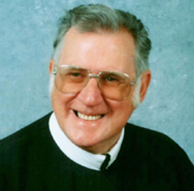 Father Daniel John Carboy, 73, died on August 22, 2013, while receiving hospice care at St. John Neumann Residence at Stella Maris in Timonium, MD. Father Carboy was born on November 6, 1939. His parents were members of Our Lady of Angels Parish and then Our Lady of Perpetual Help in Brooklyn, NY. He professed his first vows as a Redemptorist on August 2, 1961, was ordained on June 19, 1966, and died on August 22, 2013—the Memorial of the Queenship of the Blessed Virgin Mary. He attended high school at St. Mary’s College, the Redemptorist Preparatory Seminary, in North East, PA. When he finished his novitiate year in Ilchester, MD, he went on to complete his theological studies at Mount St. Alphonsus, the Major Seminary in Esopus, NY, where he was ordained. From 1968 to 1972 he served in parochial ministry at Our Lady of Fatima Parish in Baltimore, in extraordinary preaching ministry at Notre Dame Retreat House in Canandaigua, NY, and then as assistant to the Novice Master in Ilchester, MD. For the next 20 years he served as an Air Force chaplain in the Archdiocese for the Military Services. In 1992 Father Carboy retired from the Air Force with the rank of Lieutenant Colonel. He returned to parochial ministry in the Vice-province of Richmond as pastor for six years in Concord, NC, pastor for six years in Sumter, SC, and superior for four years at St. Alphonsus Villa in New Smyrna Beach, FL. In 2008 he worked for one year in Virginia, but ill health forced his retirement from active ministry and his return to the Villa. He lived in New Smyrna from 2009 until he moved to the St. John Neumann Residence in July 2013. His frugality was echoed by another confrere and close friend, Fr. Karl Aschmann. “Whenever we traveled by car, he always chose inexpensive places to stay. Motel 6 spokesman Tom Bodett might ‘leave the light on for you,’ but Fr. Dan would certainly shut it off. “He was the Socius when I was a novice,” says fellow Redemptorist and military serviceman Fr. Pete Sousa. “He wasn’t afraid to challenge us, but he also used creative and innovative ways to present spiritual conferences during our novitiate year. Almost 40 years later we were stationed together in Hampton, VA.